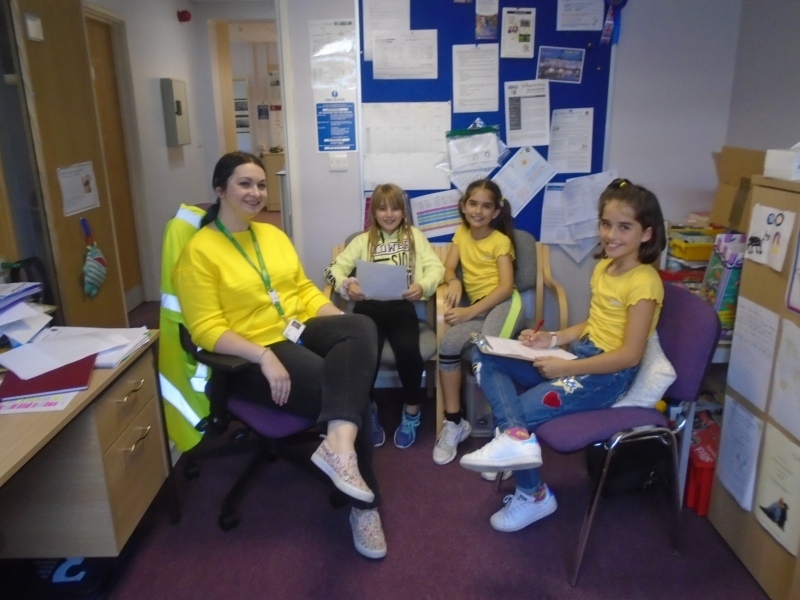 The 10th October is a day set aside for celebrating World Mental Health Day and our school, Riverview Junior School, took part in various ways as we feel it is important to raise awareness around this issue. We discovered that mental health is frequently ignored or belittled and actually we should be taking a closer look at our close friends and family who suffer this in silence. 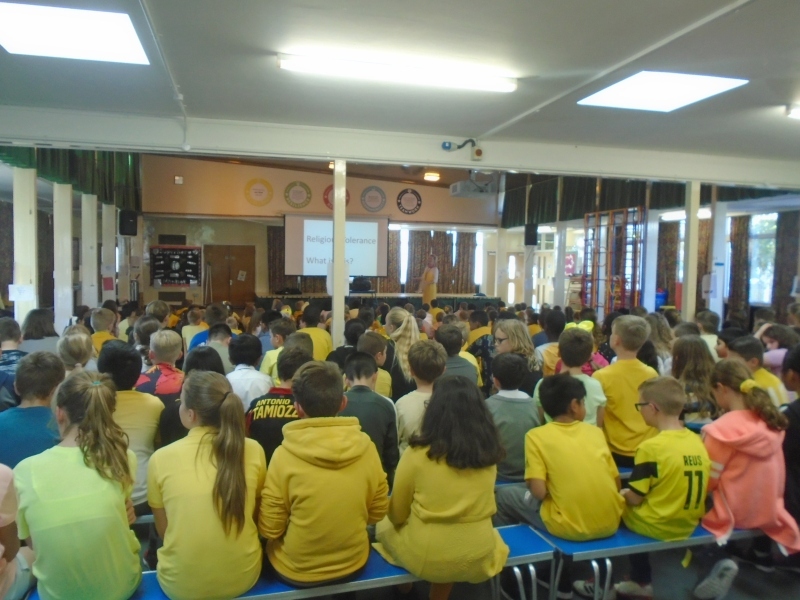 The first thing we did to show our support was to wear something yellow – the colour associated with mental health. 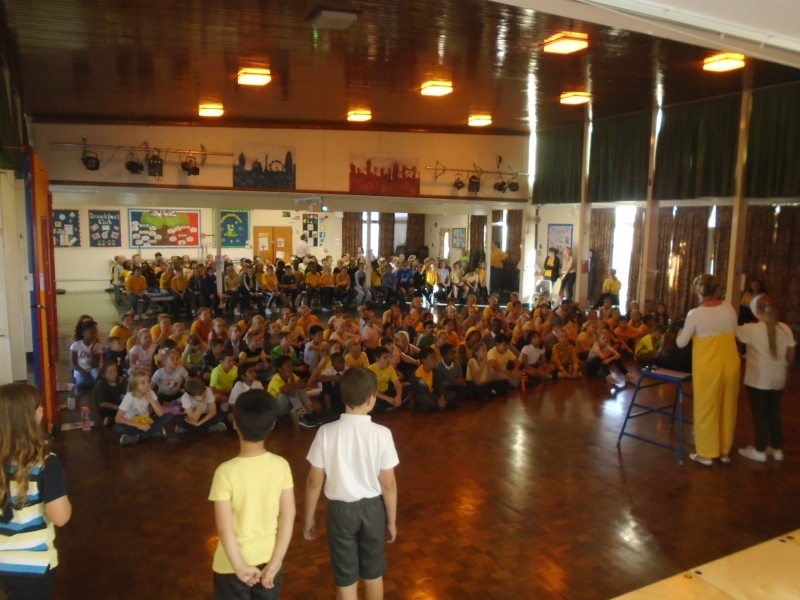 Our school was a golden glow of happy yellow throughout the day and we loved being able to wear a different colour for one day. Each of us brought £1 into school to donate to the charity Young Minds as a thanks for wearing a different colour. 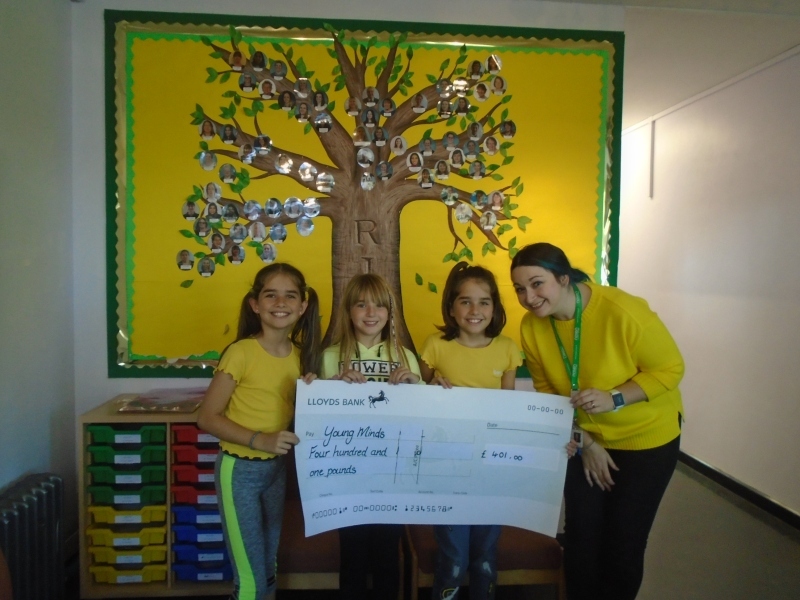 We were amazed to discover that all together we had raised £401.00! There were many activities happening throughout the school like creating bunting to hang with positive quotes. Some children decided to write a story to enter into the Kingswood competition and others created posters with strong messaging to help anyone who may be suffering. If you saw somebody who was really struggling with their mental health problems, what would you do? Talk to them and see if you can help and then talk to their teacher. If someone came to you with a problem, what would you say? I would explain strategies on how to keep ourselves safe, happy and where to go and look for support. What are your three top tips on how to calm down? To take a very deep breath. If you had mental health problems, what steps would you take? I would start by taking a deep breath and I find listening to music helps me a lot. I would also take Mikey for a walk in the fresh air. If you had mental health problems where would you go to find help? The class teacher is always ready to listen and help, some friends are very caring and can offer great advice and there are other people in the school that are willing to listen and help out. How important do you feel about your job when it comes to mental health? Hugely important! I love helping people with their learning and helping them to feel happy. Do you give people with mental health problems something to fiddle with occasionally? Sometimes I do, fiddling with something can often help calm us down. Try it next time you feel a bit anxious and let me know if it works for you. Young Minds is a charity that strives for a future where all young minds are supported and empowered, whatever challenges may be ahead. They aim to provide the best possible mental health support and teach young people the resilience to overcome life’s difficulties.